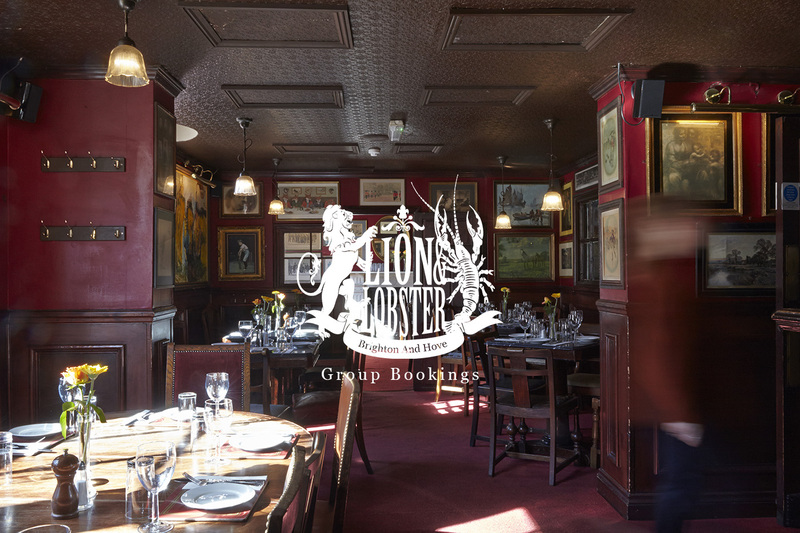 The Lion & Lobster is an enchanting rabbit warren of hidden areas and secluded roof terraces. Explore some of the spaces below. Get in touch with Yianni and his team on 01273 327 299 or email [email protected] to discuss your requirements, or make an enquiry online using the form on this page and one of the team will contact you. Hidden Gem Checked TripAdvisor on places to eat and this was a short walk away from our hotel. The pub was 'buzzing', good... read more atmosphere, friendly staff , we asked for a table in the restaurant upstairs and were seated within 15 minutes. The staff were quick and efficient and friendly, food was really good, so good in fact we returned the next night! 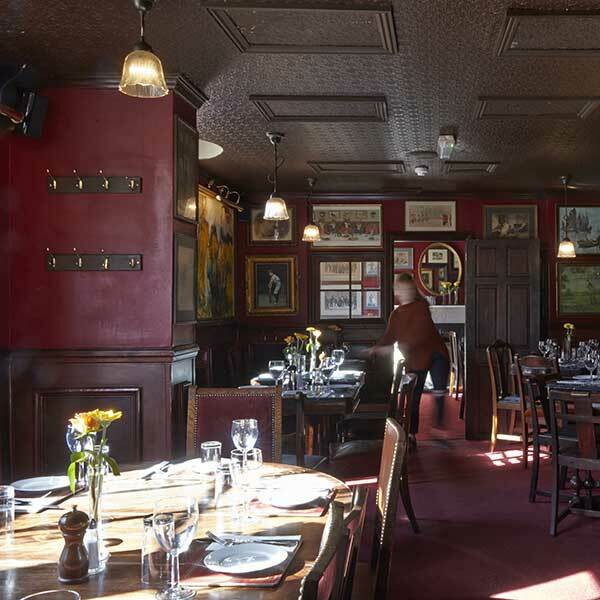 Step back in time in our cosy, eclectic bar area where you can order from a great selection of local and guest ales and lagers, as well as wines, spirits or soft drinks. Our long opening hours mean there’s no need to watch the clock. We are open from 11am to 1am Monday to Thursday, 11am to 2am Friday and Saturday and 12 noon to 12 midnight on Sunday. If you’re looking for an atmospheric setting for a special lunch or dinner, you’ll find it in our first floor Regency Restaurant where a magical air of faded elegance provides the perfect backdrop for social or business gatherings. Full table service also makes this the perfect place to relax and enjoy our excellent home-cooked fare, prepared daily by a team of talented chefs. The restaurant is very popular so bookings are strongly recommended. 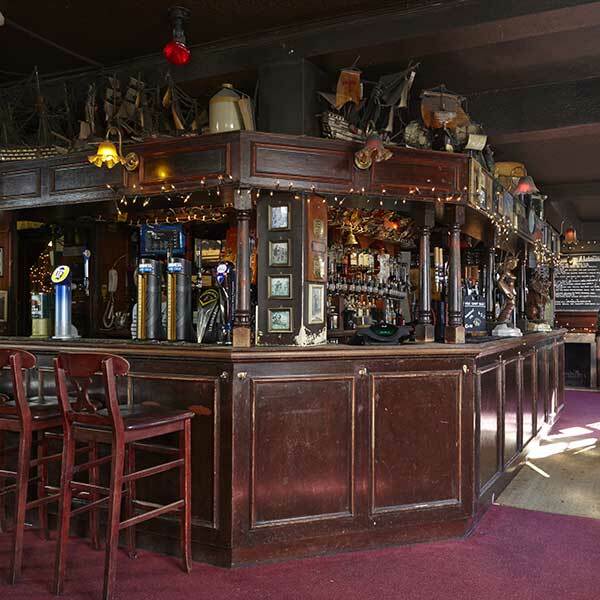 Just when you think you’ve explored every nook and cranny of this enchanting old building, it has one surprise left – a charming two-storey terrace, hidden away right at the top of the pub. 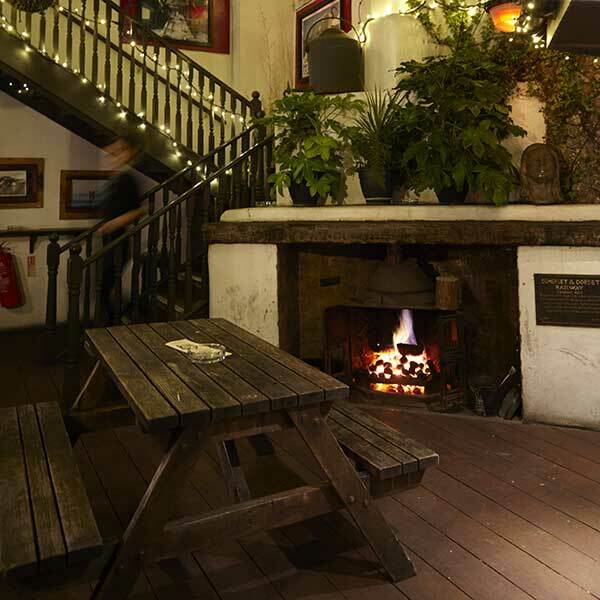 With its own bar, wood-burning stove and heated awnings, it’s the perfect outdoor retreat, whatever the weather. Our Terrace is open from 11am to 1am Monday to Thursday, 11am to 2am Friday and Saturday, and 12 noon to midnight on Sunday.